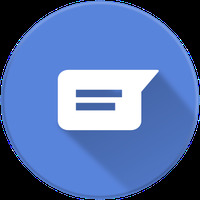 "Answer messages from the notifications area"
quickReply (chatHeads) is related to Android apps, Communication , SMS. Installation requirements: A minimum of 2.54 MB of free memory space and Android 5.0 or higher. Displays notifications regarding read, sent or delivered messages. The app may fail on some ocasions. Do you like quickReply (chatHeads)?